Celebrate Easter day, Gabfire offers 50% coupon code. This discount is available on all Wordpress themes and services. The coupon is valid until March 29, Tuesday 11:59PM UTC. 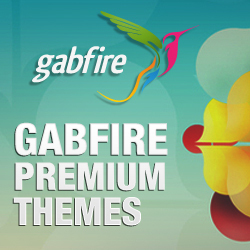 Purchase any Wordpress theme at Gabfire with 40% off. Don't forget to use this coupon code at checkout and enjoy a happy Black Friday. The coupon is valid until Nov 30, Monday 11:59PM UTC. This July, you have a big chance to save huge money at Gabfire store. Purchase any Wordpress and input this coupon code at checkout, you can save 35% on the original price. This offer will be expired on July 8. So hurry up and shop now. To provide the Gabfire community something to celebrate, Gabfire Christmas promotion is now officially available. this holiday sale will let you choose 1 or more themes for your website so don’t miss the opportunity to pick up any of Gabfire themes at 50% off. Halloween is at Gabfire Themes now! Using this coupon code to get any of Gabfire WordPress Themes with 35% discount. The sale only lasts until Monday, November 3 (Midnight EST). Gabfire themes celebrates happy Easter holiday with an awesome promotion. 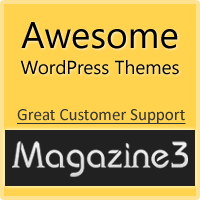 Use this special coupon code and you can save 35% off on any Wordpress themes. There’s a wide range of themes available so start browsing and not to miss this sweet campaign. Gabfire released new Wordpress theme: Sharp Magazine. Get 35% off the original price by using this special coupon code. Get it now before it expire. 25% off any of Gabfire products (except service packs). Get your site online today with a Gabfire Wordpress Theme.